Ride Em’ Cowboy (and girl)! Busy couple of days trying to get all of our work done! Here was my schedule! 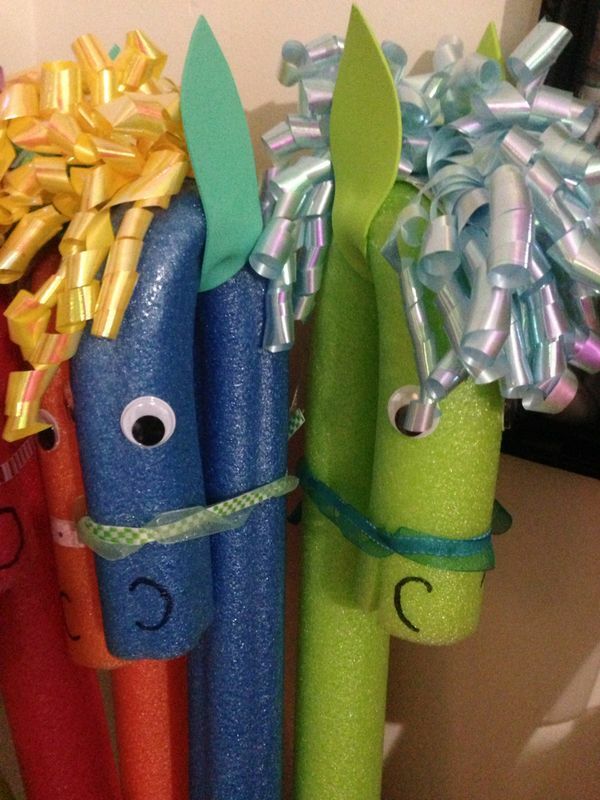 I change up the horse to use the pool noodles I bought for this in the summer, and they turned out super cute! I let my grand daughter take hers home yesterday, so there is one missing in the group! Love the horses since they are super light and the furniture and friends still aren’t beat up! I used the DollarTree ribbons for the mane and store bought Google eyes for the older kids, and made felt for the Littles. Craft foam for ears and a jump rope from the 4 packs from Walmart. I shortened the jump ropes and left the handles. I was really happy with how they turned out and took just a few minutes a horse. Discuss with your students that a cowboy’s dress is determined by need and not by looks. Decorate a paper one, a bought one or a piece of ripped muslin. Get a cowboy hat and a deck of playing cards. Have the students sit at a prescribed distance and try to toss the cards into the hat. Add the numbers up on the cards that do go into the hat for the student’s score OR count the number of cards that actually went into the hat for their score. Decorate a bought one (USToy or Dollar Tree) or make a headband hat. These applications aren't insurance policies plus they don't supply full-coverage, however they are a sildenafil from canada providers that are restricted.